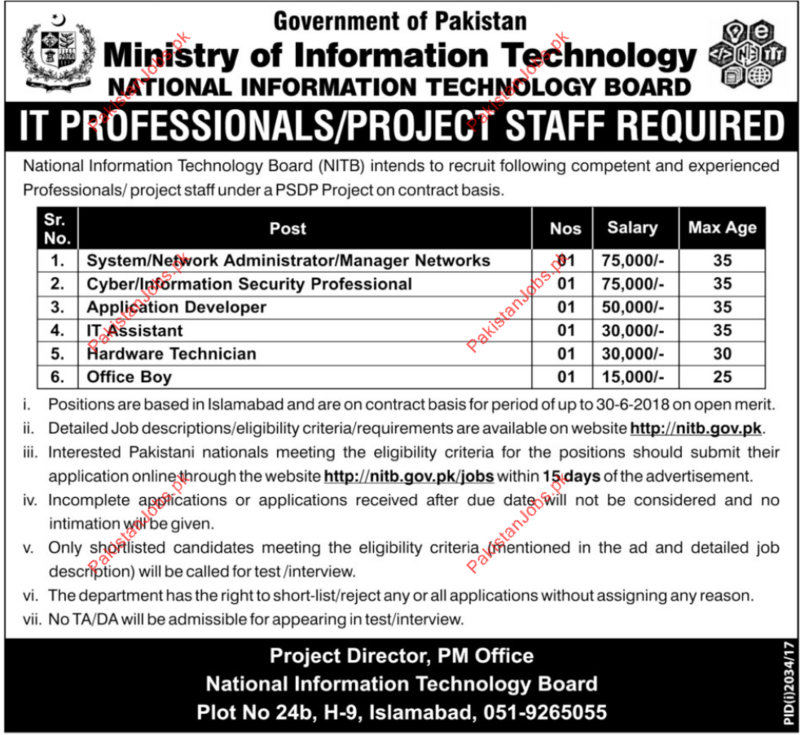 Ministry Of Information Technology National Information Technology Board is looking for IT professionals, System Networks, IT Assistant, Hardware Technician and many more. Interested candidate can apply. candidate must have experience in relevant field.